The NC Ground Water Association is inviting you to help educate and inform the public and all water users about ground water, wells and rights. The Association recognizes the important role of the public to our industry, and we want to provide our members and the citizens of North Carolina the best opportunity for excellent communication concerning our most valuable natural resource. The NCGWA Public Partners Program is designed to do just that. 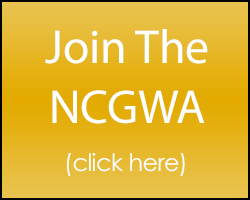 Your have an opportunity to provide benefits of partnership with NCGWA to your clients. This program will send email blasts to those who sign up for the service. We ask that you send your customers’ information (name, mailing address, city, ZIP, email address) to NCGWA headquarters using the form below. This information will be used solely to contact those who wish to compensate NCGWA for the educational service. The annual fee will be $20. NCGWA asks that you pay the first year, and the association will bill your customers individually on an annual basis beginning with the second year. The information your clients, public and all ground water users will receive will protect them and their investment moving forward as new laws, rules, potential crises emerge. Knowledge is a powerful weapon, and our offer is to keep the public safe and secure for years to come. In return, this tool will be invaluable in upcoming fights for ground water and well driller rights for our industry’s lifetime. This program will help maintain the important mission and values of the NCGWA. This partnership is a win-win for all parties involved.